We are primarily involved in authentication of works of art. This may include cleaning the object (usually a painting), dating the work and researching its provenance. More detailed info to come. 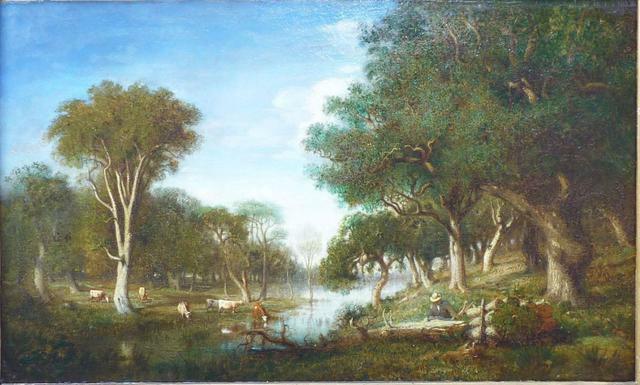 Landscape with Cattle and Woodcutter by Charles Mannier (1823-1855).